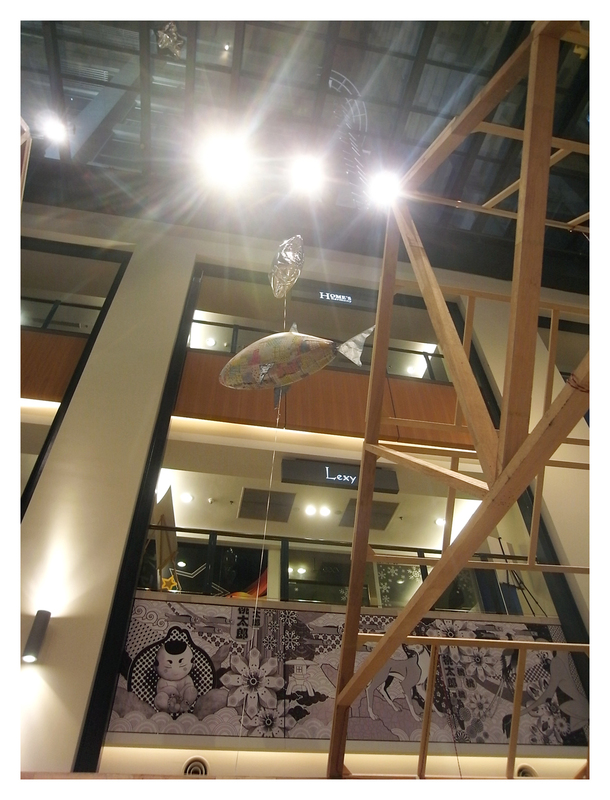 Thanks to KL for informing me about the exhibition and also kudos to Nando's for supporting local artist. 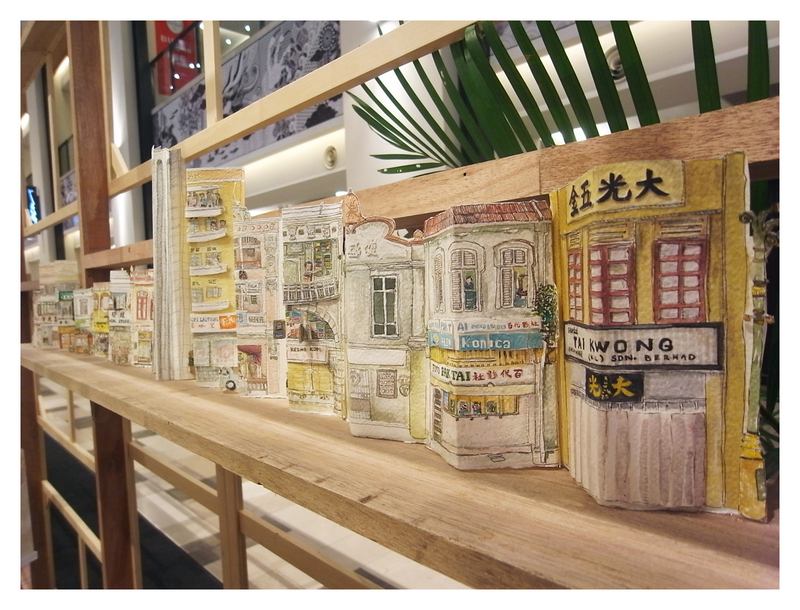 These splendid art works by Novia Shin is now exhibited at Publika, tomorrow (9 June) is the last day. 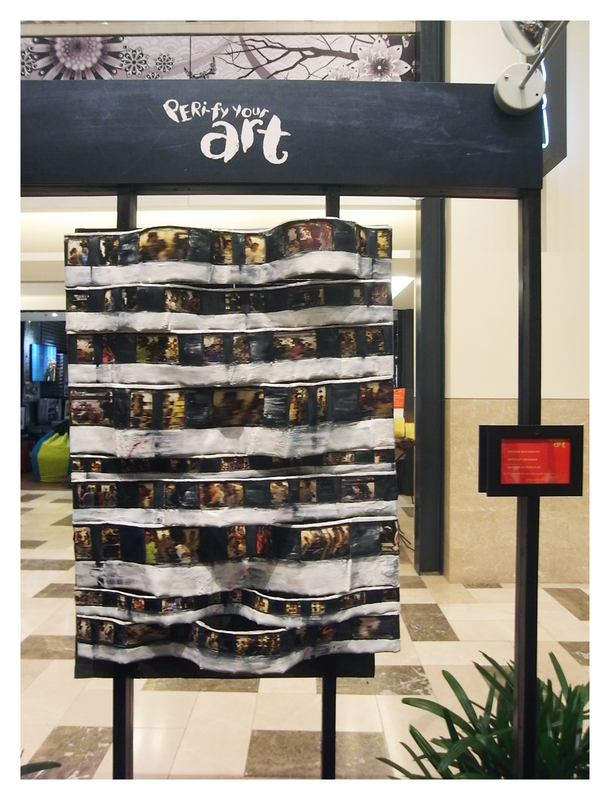 Novia is the winner of Nando's PERI-fy Your Art Competition 2012. This is a familiar scene for most Malaysians. 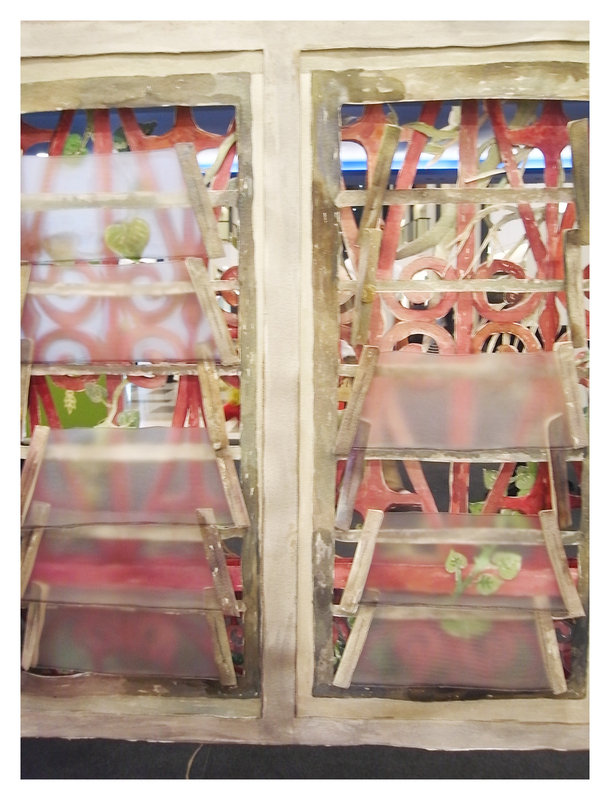 A few layers of Petaling Street showing the transformation. The art work is sold. She handed me a remote control and to 'play' with tail of the fish. Her illustrated booklet with a packet of stickers for you to bring home and play. That's Novia the artist on the right in the background. But please don't take home and throw into the dustbin in the end. 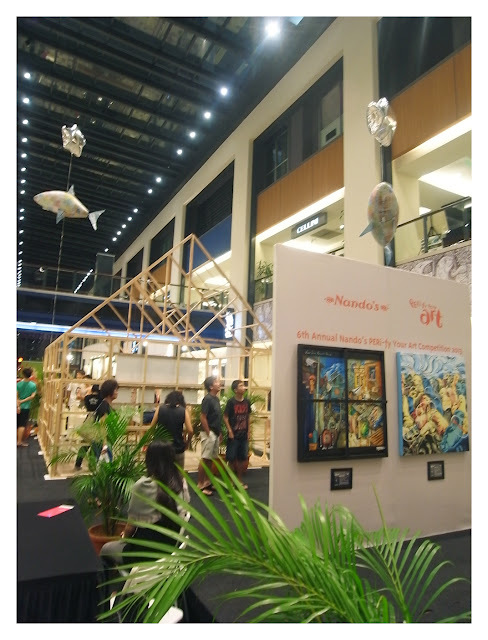 Also showcasing the art works from this year competition. One of my favourite art work there, it's moving LRT scene. 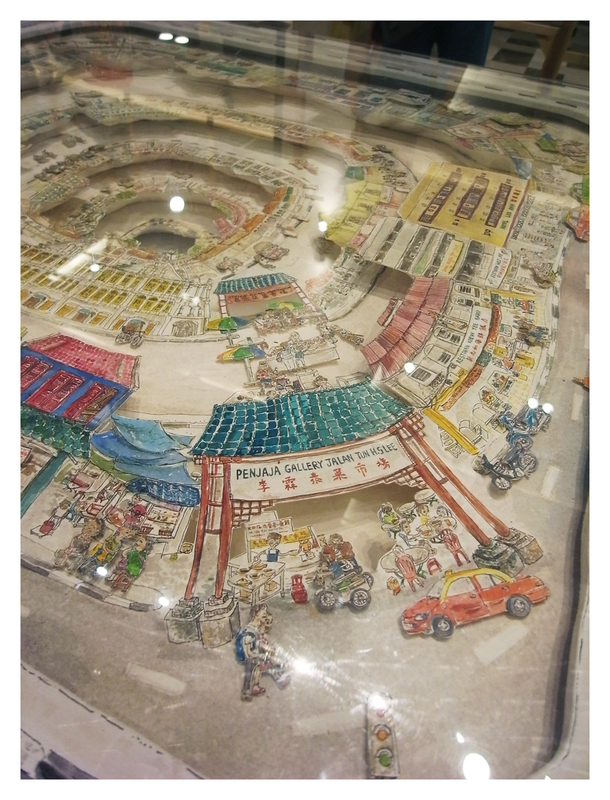 I think LRT/MRT company should buy this art work to be displayed at station. In fact, I wish our LRT station to be more artsy and can also help supporting our local artists apart from beautifying the space.